First of all, nothing can repair hair once it’s damaged. And I don’t logically see how any product can defend anything against harsh chemicals or blistering heat. 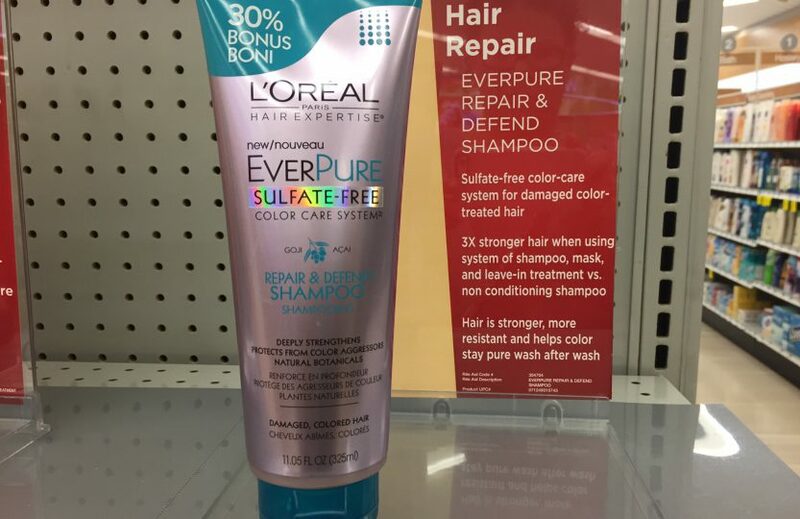 I guess I just need to blurt that out sometimes when I see products promising things there is no way to deliver, such as L’Oreal EverPure Sulfate-Free Repair & Defend Shampoo. But I could have forgiven the product its empty marketing promises, except that I saw the ingredients. When I try products, the first thing I do is lurk around a store, picking up products that sound like they may have a nice listing of ingredients. I scan the labels to see if anything bad jumps out at me. If everything looks okay, I’ll buy the product. Once home I go through the ingredients again, looking up in the Ingredients Dictionary anything I don’t remember if it’s good or not, and anything on the label not in the Dictionary, I research it and then add it. It’s a long process, especially when there are a bunch of ingredients. However, this product saved me the effort of having to take it home. Right on the shelf, ingredients I try to avoid jumped out at me. I’m sure there may be more, but these are the ones I recognized during a quick scan at the store. I’m sure they’re in there in small amounts since they’re listed after fragrance, but still….Ingredients such as sodium lauryl sulfoacetate (which looks to be as harsh as sodium lauryl sulfate), acrylates copolymer, divinyldimethicone/dimethicone copolymer, carbomer, sodium acetate (I wasn’t sure on this one but it made me nervous, so I had to look it up at home), salicylic acid, and sodium hydroxide. 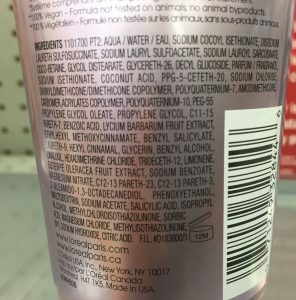 What good does it do to avoid sulfates if they load a product with even worse ingredients? Because of this, L’Oreal EverPure Sulfate-Free Repair & Defend Shampoo is not recommended.